Here is a song/poem I wrote about my life lately. Yes, we went to court – again. And no – deadbeat dad is still not paying child support. I know I am not the only one here who deals with this. And yes, God is good and He has made up for all things. But I have to admit, it get’s frustrating. The ex went to jail for 5 days after getting picked up for not wearing a seat belt. There was a $24,000 bond on his head at the time as he decided to blow off the last two court appearances. Judges don’t like that. So, after 5 days and only one payment this year the Judge asked me what I thought. Yes, the ex has been working – a union job with great pay and benefits. And yet he still chose not to pay his child support. My answer? Well, not what you would think that’s for sure. Must be a God thing. I asked the Judge to show him MERCY and give him the opportunity to work. Yep, I did. So here I sit. And here I write. And pour out my troubles before my God. Thank you all for your love, your support, and your prayers. You hold me up when I can’t stand it anymore. You see every single mom out there trying to make it without help is a WIDOW. Yes, they got left, despite all their good intentions, their promises, and their attempts to make things work. 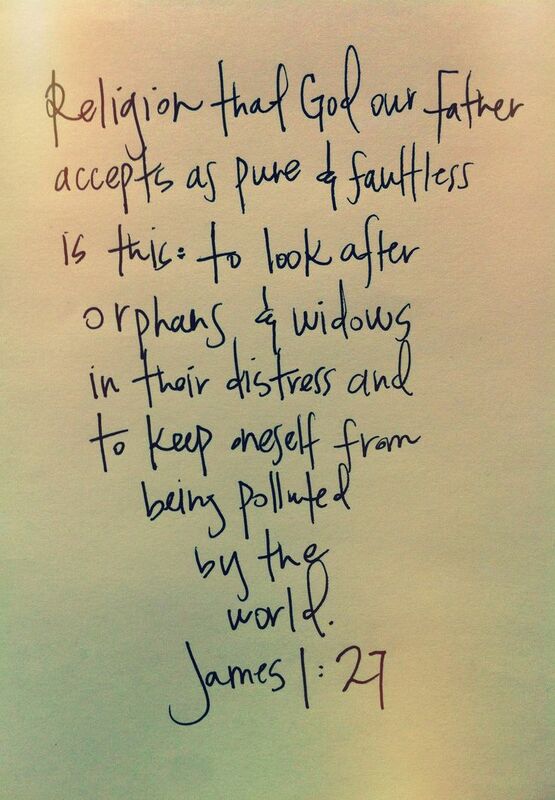 And every child of divorce is ORPHANED. They did not ask for it either. And it is not their fault. You don’t have to move them in but could you help them out a bit? Why do we kick the people who are down and judge the wounded? Justice, what happened to Justice? Seriously, this whole child support system is broken. I think we should write some new laws for all the moms and kids out there who get left holding the bag – and all the bills. Deadbeat dads should not get to sit in jail with no bills, all their meals made for them and play cards all day. This is not working. How about some new laws for offenders? Let’s put the deadbeat dads to work on a farm or something, pay the moms so the kids can eat and keep the lights on, and let them work off their debt. Teach them how to work. Fix it, instead of giving them a place to run and hide from their responsibilities. Yes, people can change. But what is the incentive to do the right thing when you can get a free ‘jail-cation’? My challenge to all of us this week – help a single mom. Money, gas, groceries, whatever. Just help someone with something. Pay it forward. But then God surprises me. He sends someone. To stand alongside you when you are down. Not to kick you, but to help you up. I am grateful for the Samaritans that God has placed in my life and my husband’s life. Thanks Jeff – you show me what God’s love looks like. We all need help. Will you reach down and help another man/woman/child up this week? will he ever turn around? Posted in Activism, Depression, Domestic Violence and Abuse, Poetry, Rejection and tagged Abuse, Child support, child support laws, children, christianity, court, deadbeat dad, depression, divorce, Domestic Violence, Domestic Violence Awareness, God, Judge, offenders, poetry, poetry prose, rehabilitation, Religion and Spirituality, running from responsibility, sorrow, Spirituality. Bookmark the permalink. My sister… I am so sorry that this is still happening to you. I pray for Kingdom Justice for all of us who have been wronged by our ex’s and all abuses that we have suffered. The system needs to protect the innocent, not the deceptive. I pray that something will change. Diana, I’m sorry this still hangs over your head. bless her children. I ask this, because You allow me to and I ask it in the name of & under the shed blood of our savior Jesus Christ.